"The most important thing you can do for your health and the health of the planet is to eat locally grown Biodynamic food." Biodynamic Agriculture is similar to Organic Agriculture in that is uses no chemical fertilizers or toxins. Biodynamics differs from Organics in that it seeks to understand and utilizes the forces from Cosmos which influence plant growth. It uses Planting and sowing calendars to determine the best times to sow and work with plants. Secondly it conditions the soil to more readily accept the Cosmic forces with Biodynamic sprays and Biodynamic compost made by using 6 medicinal herbs in small quantities. This results is high quality in nutrition, flavor, and taste food. " Biodynamic Agriculture Health Care for the Earth and Humanity." Finally, Biodynamic Farms strive to be self contained, all the fertility comes from within the farm. A morally sound approach to our future food supply. 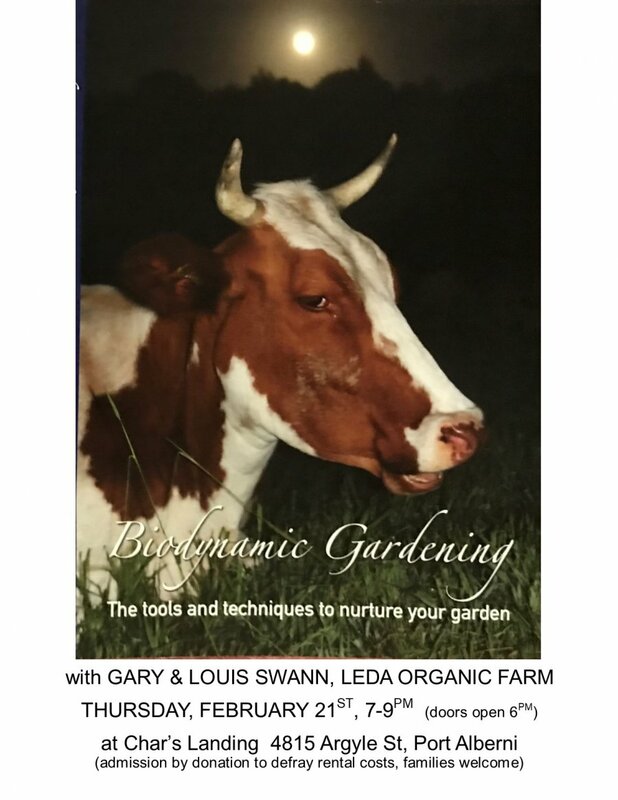 The public is welcome to an introduction on Biodynamic Gardening. Families welcome. Doors open 6pm. Admission by donation to defray hosting costs are gratefully accepted.